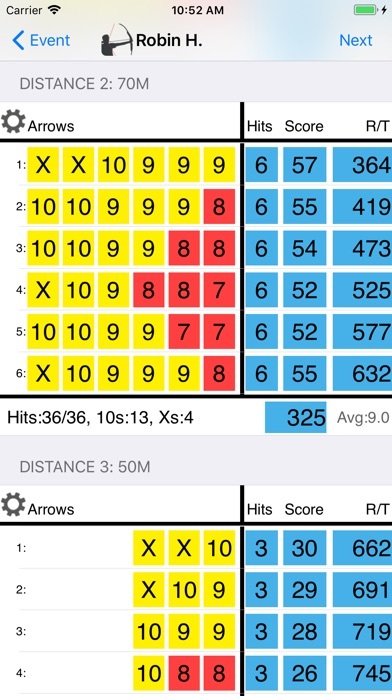 ArrowNautics – The must have Archery Scoring App. 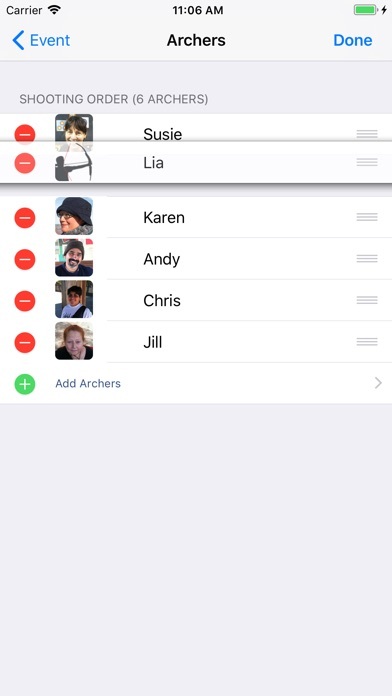 Best of all, ArrowNautics lets you keep score for as many archers as you want. Whether it’s a tournament, league night, traditional night, clout, even a 3D field event, let ArrowNautics keep score and watch the leaderboard to see who’s leading. You’ll be the envy of your fellow archers. 1.Create an event from an existing template or create your own custom event. 2. Add archers to the event and arrange them in shooting order. … and that’s not all. ArrowNautic’s scorecards are so visual, they’ll give you a whole new perspective on your shooting. They’re customizable too! … and when you shoot an amazing end, tap the camera button and be surprised at what ArrowNautics does to capture that special moment. … and when the event is over, email and print the scoresheets. You can even print blank scoresheets for hand scoring. Now you can have professional scoresheets at every event! You’ll never score the same old way again. All this for less than a dozen nocks! -It works just like you’re used to! -Supports multiple archers with pictures. -120+ templates for FITA, IFAA, NASP, NFAA, NFAS, 3D, GNAS & Archery Australia (AA). 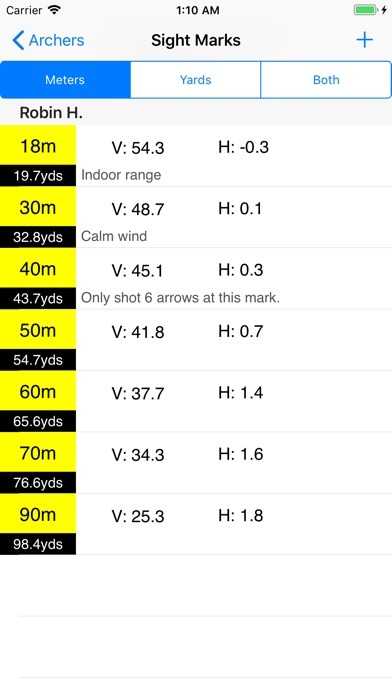 -Create and save your own templates, defining multiple distances, targets and formats. As many as you want! -Practice template for unlimited ends and up to 12 arrows per end. -Rank on event, distance or both. -Supports FITA, FITA Field, IFAA, NASP, NFAA, NFAS, 3D, GNAS, ASA, IBO, Bowhunter, Hit/Miss targets and Clout. -Can be used with any scoring target. -Supports up to 12 arrow ends. 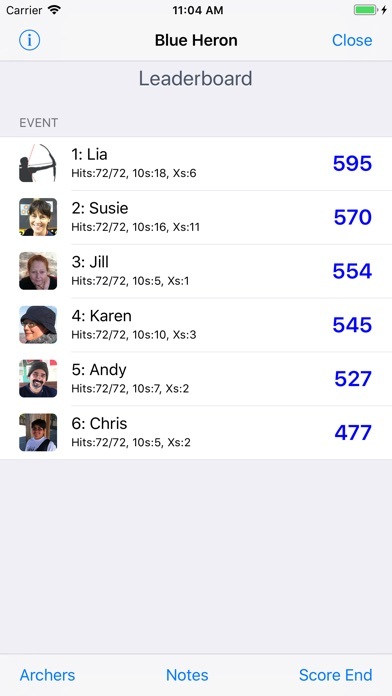 -Email/Print blank scoresheets for hand scoring. -Sight Markings for each archer. 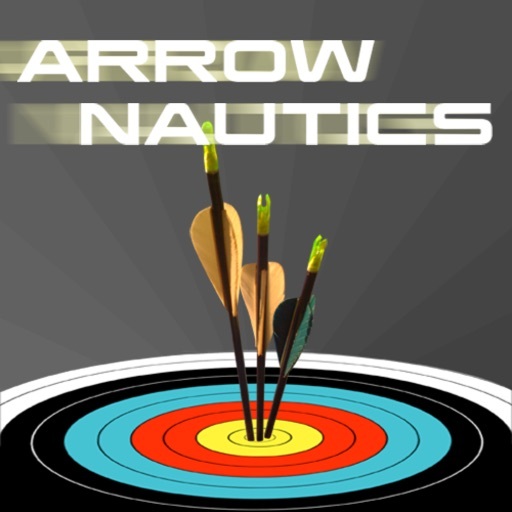 Download ArrowNautics now and experience archery like never before! • Support for emoji’s and other keyboards throughout the app. 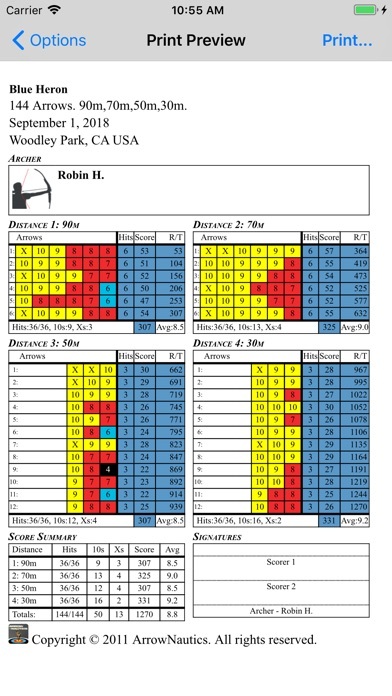 • A pdf version of the scoresheet when emailing scoresheets. • Have you ever forgotten to switch to the next archer before scoring? It happens to all of us! Now we’ll get a reminder. This version is backwards compatible to iOS 9.3. For devices with earlier iOS versions, please update your device or continue to use the prior version. Please take a moment to share your experience by leaving a review.